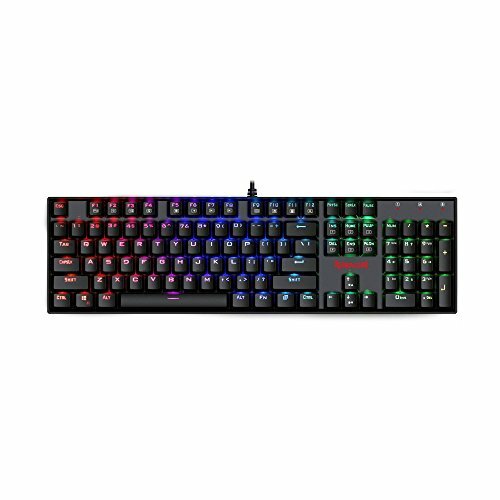 I got the Redragon K551 keyboard for my new PC with Windows 10. I wanted something with back lighting. As I did my research, I discovered that mechanical keyboards existed, and seem popular. So I write this review as someone who had never heard of such a thing until just before buying it. I've been using this keyboard for a week without any trouble. Windows 10 recognized it instantly when I plugged it in. The keyboard came in a box with a small information sheet and key puller, neither of which were needed to connect it to my PC. The keyboard is heavy, much heavier than my previous keyboard that came with my HP desktop. The cord on this keyboard is not braided, but I don't really understand why that matters, having never seen a keyboard in person that had a braided cord. Keys: The buttons are easy to press. They make a loud click, which can be good or bad, depending on whether you enjoy loud clicks. It is certainly good for letting people in other rooms know you are typing. As for the "mechanical keys", it seems like a gimmick. I can feel each click and I get plenty of audible feedback, even with headphones. I can't really say they make typing a better experience than do membrane keyboards, but they are no worse. There is a lot of travel when pressing the keys, and you can repress them without letting them reset. This keyboard has a 10-key number pad, which was an important feature for me. The key layout seems pretty standard. The function keys (F1-F12 using the FN key) are a nice way to get those functions and save space, although I could see some users preferring the dedicated volume and media buttons. Being able to lock out the Windows key is also a good idea. Lighting: It's great. I paid a little extra for RGB, and I'm glad I did. I like the different lighting settings, although I only use a couple of them. 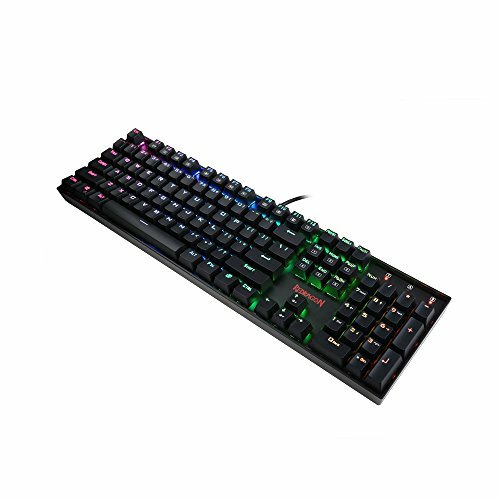 They seem plenty bright with and without room lighting, and I like having the ability to pick from a selection of colors, or have multiple colors spread across the keys. To enter the customization mode (to set colors for individual keys), you use FN plus the ~ key (actually `, but that could be mistaken for ' if I didn't explain). 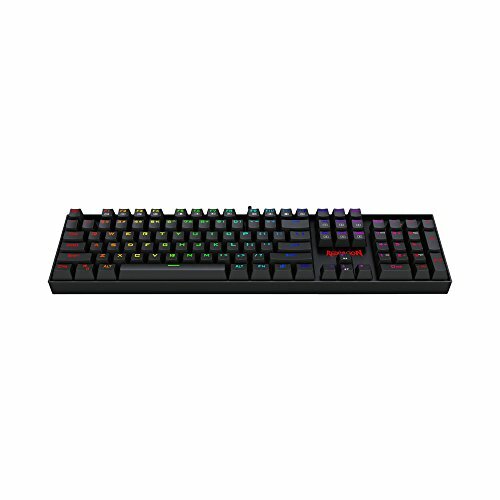 Once there you can use FN plus right arrow to select a color and then each key you press will be that color. Gaming: I mostly play flight simulators and driving games. For driving, I prefer a controller. For flying, I prefer the keyboard, and this one does well. I tried using the keyboard for GTA: San Andreas, but I was not so impressed, mostly because of the long travel of the keys that led to inconsistent resets when pressing the same key multiple times. At first, I didn't like the mechanical keys, but the more I've used it the more I like them. In fact, I can't stand using membrane keyboards anymore. 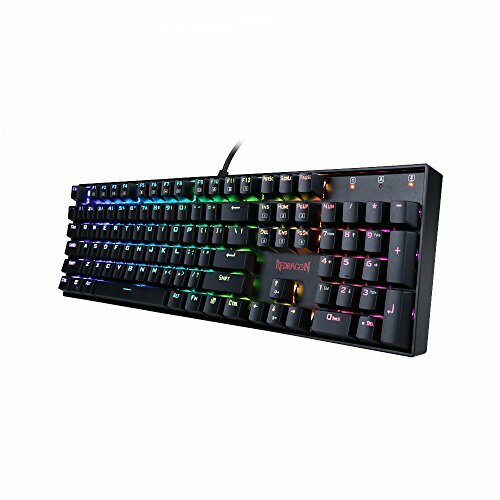 The Redragon K551-RGB VARA is one of the best mechanical keyboards for a wide range of users who don't want to spend too much on a keyboard but still get great quality, performance, and plenty of RGB backlighting options. The build quality is superb for its price point as the baseplate is metal rather than plastic. The Outemu Blue switches are most alike to Cherry's MX Green switch, and quite a few users prefer them over Cherry's MX Blue as they tend to feel more rigid and precise. The downside is that finger fatigue is more common on that switch type. 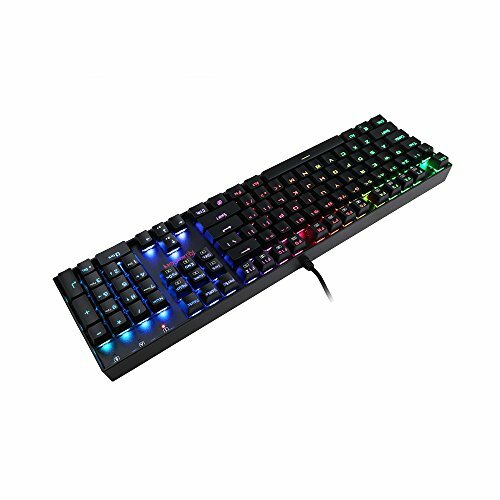 There are also plenty of RGB backlighting modes that you can access through software, and a few of them accessible through the keyboard hardware itself. 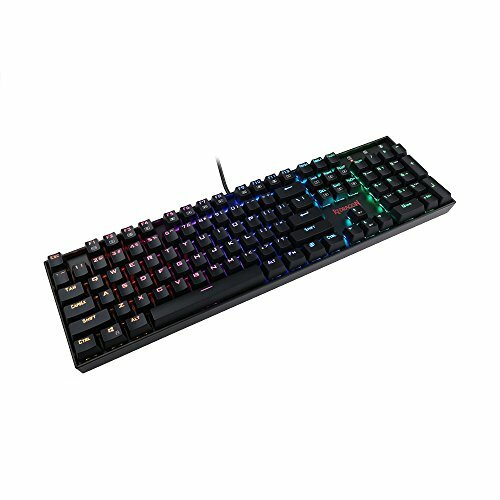 Overall, if you're looking for a cheap mechanical keyboard that will last you a long time, either this keyboard or the K552-R will not disappoint. The only difference between the K551 and K552-R is that the latter is an 87 Key (Tenkeyless) board while this one is a full size 104 key board. 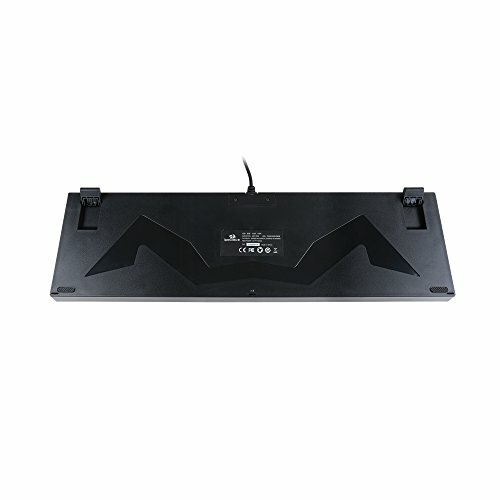 I've never owned an LED keyboard before. It's pretty and the keys feel great. Otherwise the key strokes are fairly loud, but that's expected.